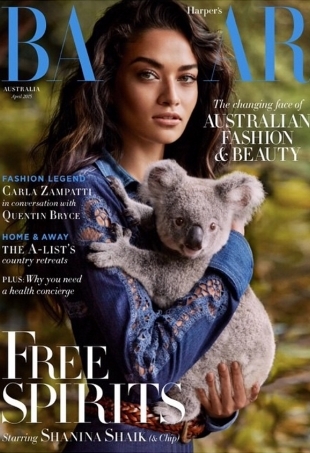 Shanina Shaik cuddles a cute koala named Chip on the cover. The Aussie fashion glossies are pulling out all the stops to impress us this month. A sultry Alessandra Ambrosio has stunned our forum members on the cover of Harper's Bazaar Australia.